You just don’t see these every day. I am in the mid­dle of clean­ing up this horn, and the sil­ver plate is so bright and thick that if I hadn’t seen it tar­nished and cleaned it up myself I’d won­der if it was excep­tion­ally classy nickel plate. 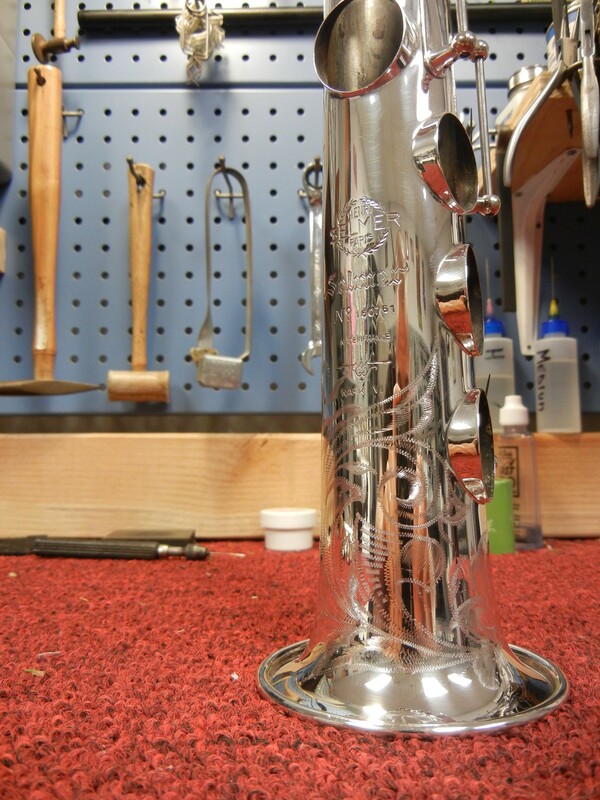 Beau­ti­ful and rare exam­ple of a Mark VI soprano.